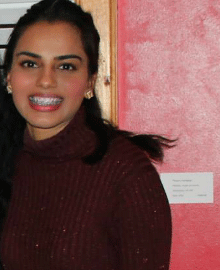 Simar is a rising senior majoring in Cultural Anthropology. Her summer project focuses on the healthcare access of mestizo and indigenous farmworkers in North Carolina. First, she will determine if these two populations access healthcare at different rates through surveys. She will follow-up the results by conducting interviews with those farmworkers who indicated lack of access. Through these interviews, as well as patient-doctor observations, she will attempt to pinpoint specific reasons for this gap. Particularly, she will explore how cultural belief systems influence the healthcare choices, or lack thereof, of farmworkers from Latin America.